Document Notes: One of the Final Report series. This book covers in detail the efforts at relocation, a subject largely ignored by the CWRIC revisionists. 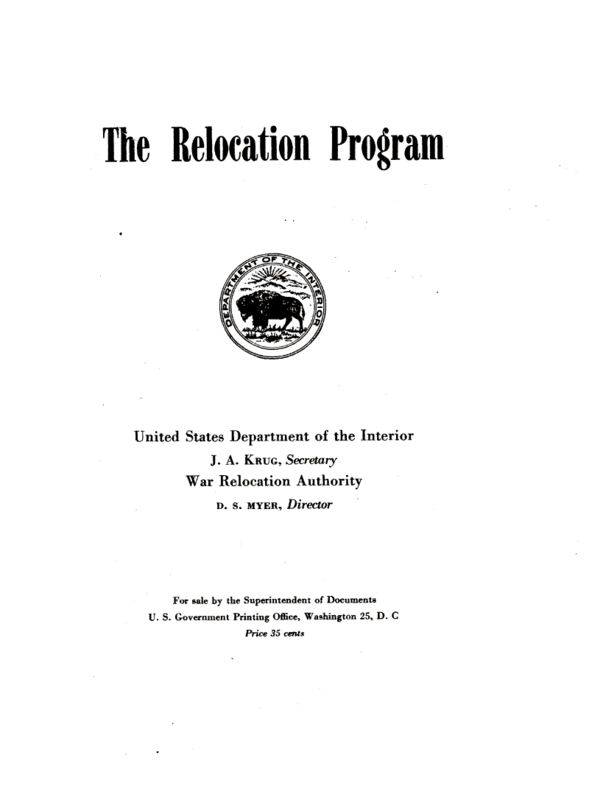 Readers will be surprised to learn of the efforts to relocate during the war and assistance given to return reluctant evacuees to the West Coast after the exclusion order was lifted. Many thousands had to practically be thrown out of the centers so that they could be closed.